A bubble is at the bottom of a river at a particular depth. 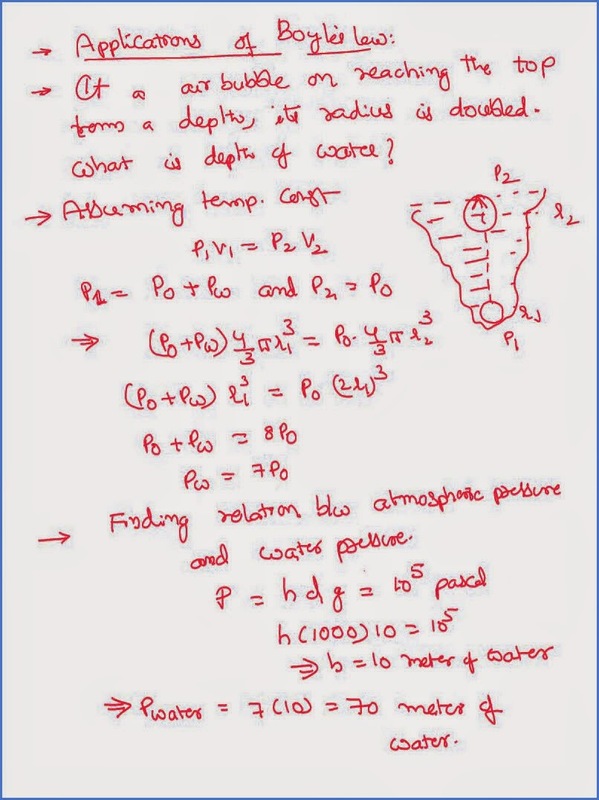 On reaching the top if its radius is doubled what is the depth of the water at constant temperature? Air bubble is nothing but a gas. Being the temperature is constant, Boyle slays is valid. When the bubble is at the bottom it is going to experience the pressure not only due to atmosphere but also due to the water on its top. By the time bubble reaches the top there will be pressure only due to atmosphere, as there is no water above it. We can apply the Boyle’s law to the air bubble both at the bottom and the top as shown. It is also proved that one atmospheric pressure is equal to pressure applied by the water of height 10 meters. 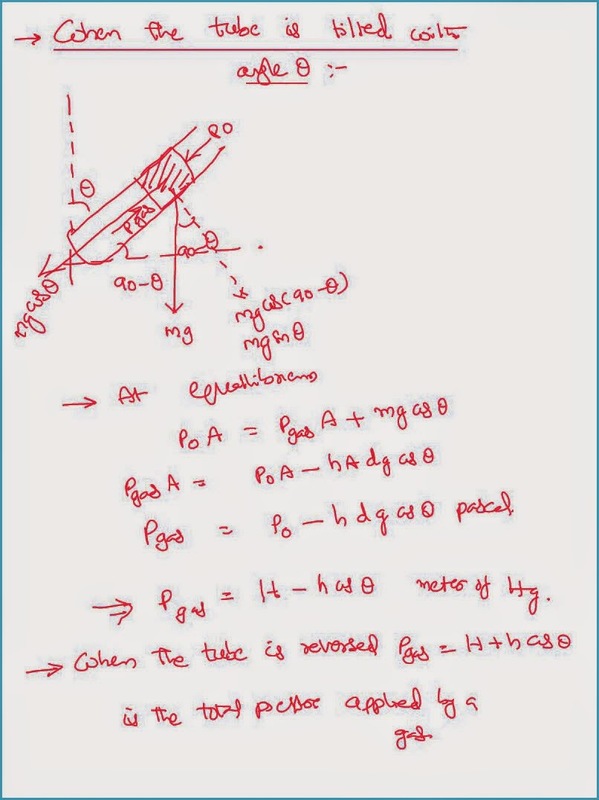 When a test tube with a military pillet is in a horizontal position, between the military pillet and the closed end of the tube there is some gas like air. 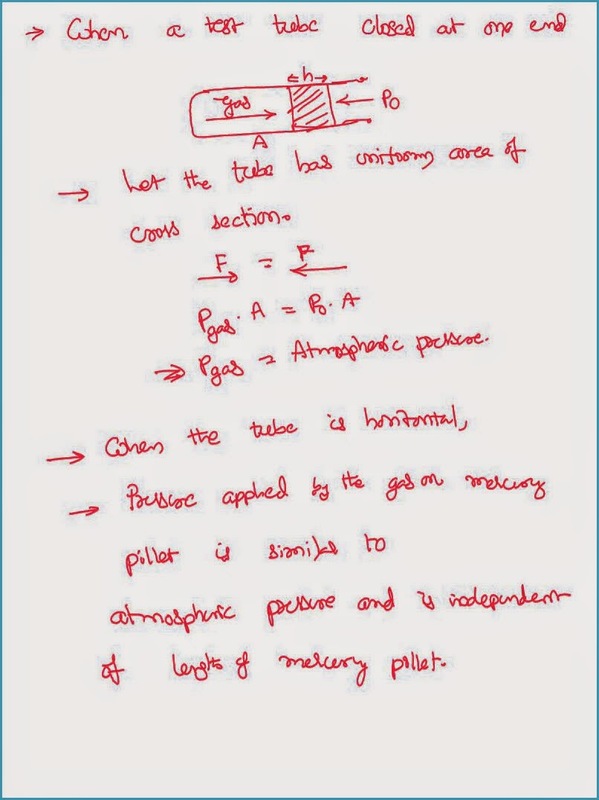 On the mercury pillet the force applied by the gas is equal to the force applied by the atmosphere. By equating these two forces we can prove that the pressure applied by the gas from inside is similar to atmospheric pressure itself. Assume some gas in the test tube between the closed end and the mercury drop and it is arranged in such a way that the closed end is in the downward direction as shown. In this case also at the equilibrium we shall apply the force in the upward direction is equal to the force in the downward direction. In the downward direction there is the force due to the weight of the mercury as well as the force of the atmosphere stop in the upward direction there is a force due to the pressure of the gas. 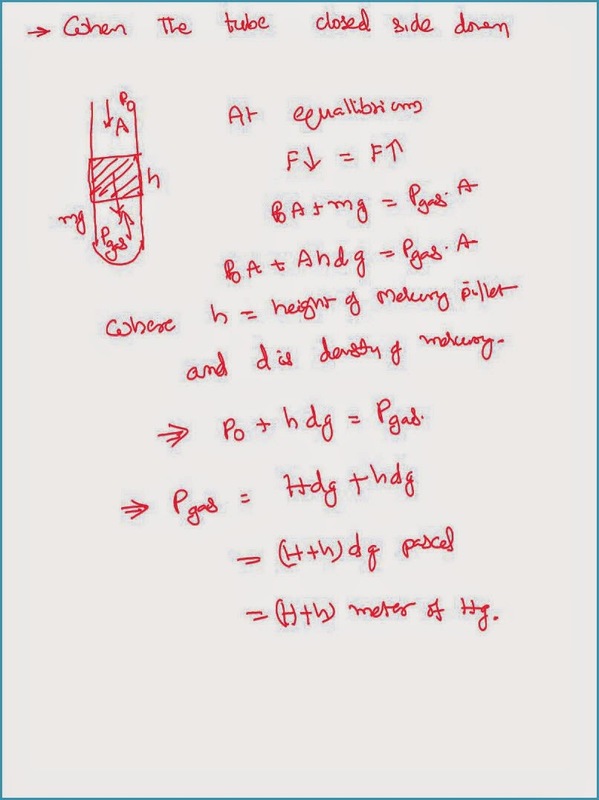 If the same test tube is arranged in such a way that its closed-end is on the top and open end is in the downward direction as shown, again we can calculate the effect to pressure applied by the gas on the mercury as shown below. In this case the total pressure is the difference between the atmospheric pressure minus pressure due to the mercury. 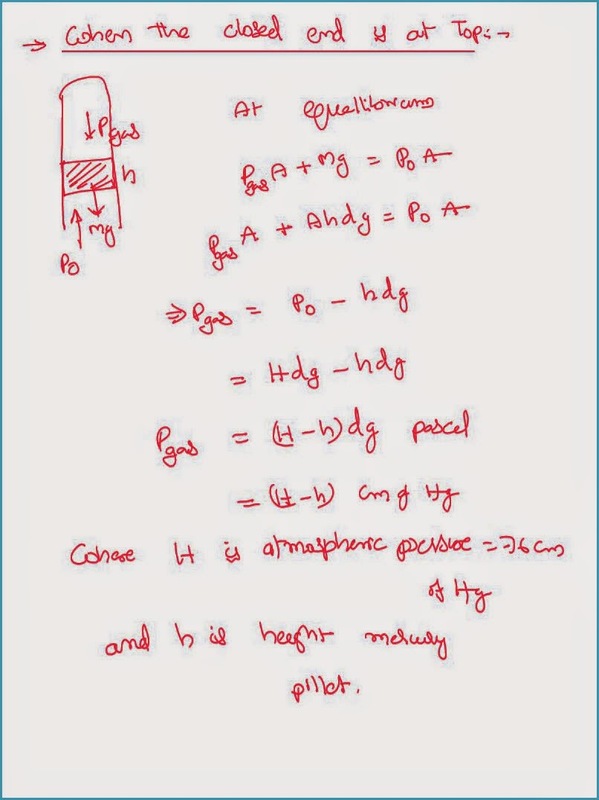 If the test tube is arranged in such a way that it is making an angle with the vertical and open end is on the top, we can derive the equation for the effect to pressure applied by the gas as shown below. In this case the entire weight is not acting agonist the atmospheric pressure but only a component of the weight as shown.